Are you the best mini golfer in Edmonton? Come prove it at Arbours of Keswick's Mini Golf Masters this Saturday! 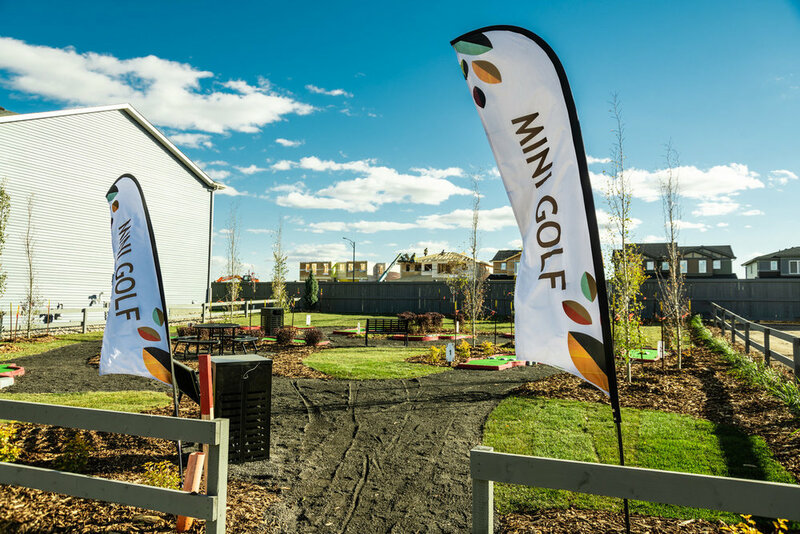 Come tour the showhomes, grab a snack, and try your hand at mini golf. Participants will be entered to win the coveted Master's Jacket and a golf trip! There will also be prizes for second and third place. Admission is free, families are welcome! Putters and golf balls provided. Thoughtfully planned to suit a variety of lifestyle needs, Arbours of Keswick evokes a feeling of quality and prestige. The masterplanned community features distinct lifestyle zones that cater to the stage of life you are in. A blend of classic architecture with modern elements creates a streetscape that will stand the test of time. Plenty of natural amenities surround the community, allowing you to enjoy walks around the pond or a short bike ride to the River Valley. Your daily needs will be met with the neighbourhood commercial located within the community. You can also look forward to a planned K-9 school just steps away.